Manufacturing is the foundation of Pennsylvania’s economy — our state boasts a deep heritage and rich legacy in the industry. Throughout the history of our nation, Pennsylvania has been a leader in manufacturing, and today, our unique blend of world-class R&D institutions, technology commercialization programs, technical and industrial resources, and our skilled workforce create a competitive advantage for manufacturing businesses. With more than 25 years in the manufacturing industry myself, I recognize first-hand the power of manufacturing in Pennsylvania, and I strive to support the creation of new, well-paying jobs to spur manufacturing growth. Since I took office, I have worked with the Governor’s Action Team to create more than 3,500 manufacturing jobs and preserve more than 6,100 others and recently established a tax credit for manufacturers who create jobs in Pennsylvania. This tax credit program will be a powerful incentive that will revitalize Pennsylvania’s manufacturing industry and create a more robust private sector while securing long-term economic benefits for Pennsylvania residents and communities. Thanks to our state’s assets, manufacturing has an $85 billion impact on Pennsylvania’s economy and positions the commonwealth as the 8th largest producer in terms of manufacturing output in the United States. Manufacturing also employs over a half million workers in Pennsylvania from a highly skilled labor force of more than 6.5 million, who are educated at nearly 300 educational institutions across the state. 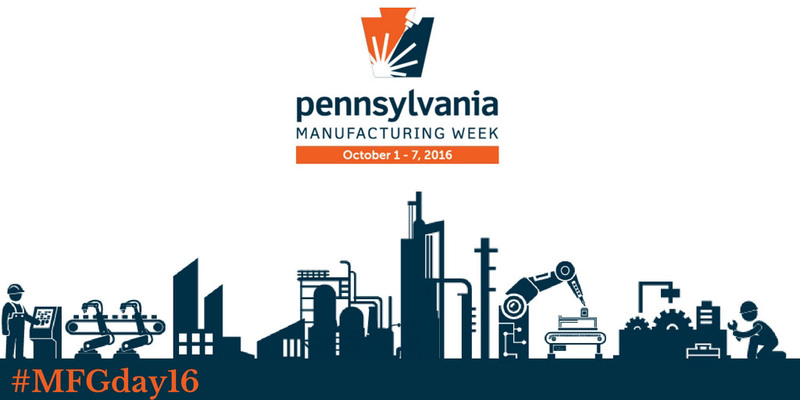 To celebrate the industry’s continued growth, I ask you to join us in recognizing Pennsylvania Manufacturing Week, October 1-7. Building upon the national Manufacturing Day initiative with the culmination of Manufacturing Day on October 7, this week is designed to change people’s perceptions of the manufacturing industry in today’s world, draw attention to the amazing career opportunities available here in Pennsylvania, and educate the public on the industry’s significant impact on our economy. By opening the doors of manufacturers across Pennsylvania, we hope to address common misconceptions about manufacturing. 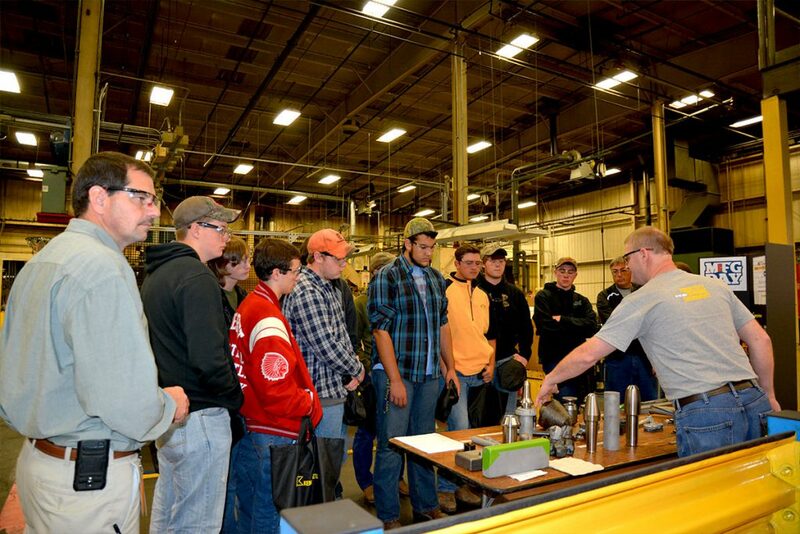 Students, educators, and residents can witness what manufacturing is — and what it is not. They will learn that manufacturing offers fulfilling jobs in an industry that continues to evolve and offer new opportunities. Manufacturing offers high-paying jobs, with a $63,752 average annual wage in Pennsylvania. That is 15 percent higher than the average salary across the state. Manufacturing was one of the highest-paying industries for 2014 college graduates. Many employers also offer substantial benefits — 90 percent of manufacturing workers have medical benefits and 78 percent receive retirement contributions from their employers. It goes far beyond the financial incentives — manufacturing employees are performing fulfilling work that keeps them coming back. In fact, manufacturing workers have the highest job tenure in the private sector. A critical point to understand about manufacturing is that it’s a diverse industry that requires a high level of skill and education. In Pennsylvania, close to a fifth of manufacturing jobs require a college degree or a post-secondary certificate. With the ever-increasing role of technology in the industry, many companies offer significant on-the-job training that helps employees expand their skillsets. From production and package design to office administration and sales, the job opportunities in the manufacturing industry are limitless. These positions also span a wide range of sectors, including food, machinery, plastics, and even computer and electronic products. Manufacturing offers a rewarding career path with exciting options and stimulating work environments — a statement to which I can personally attest. This week, you can see for yourself as more than 80 Manufacturing Week events and tours will be held throughout the commonwealth, giving you the opportunity to visit and learn more about local manufacturers. An interactive map and list of events and tours can be found at dced.pa.gov/mfgweek.